Curriculum Exhibitor Application Form—Due October 31st! 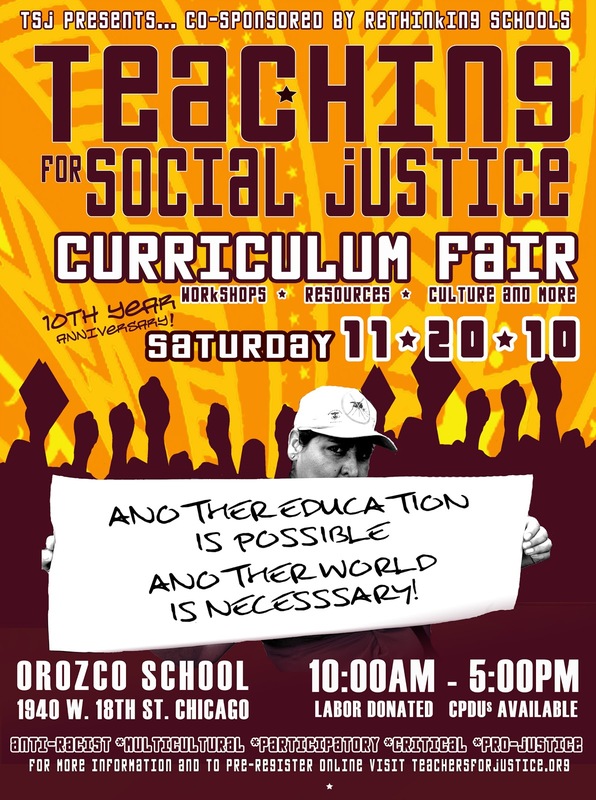 Curriculum exhibitors are usually teachers and educators who have taught social justice focused lessons, units or projects. We recognize that teachers collectively produce knowledge about how to teach for social justice and we want to learn from each other. 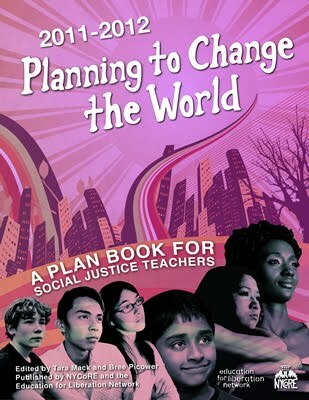 We strongly encourage teachers to share their work in progress and to give and get feedback from other educators in order to further develop our collective understanding of what teaching for social justice means in theory and practice. In June 2011, 15 TSJ-ers took a 9-day trip to Cuba to study the education system. We went to learn about education there, to help us rethink what we're doing here. We will share some of what we learned, along with photos, video, and other artifacts. All are invited (FREE), and no previous knowledge of Cuba is necessary. We need your vision, your expertise, and your support! Art is a vital contribution to the social justice movement and we hope you'll consider designing a poster for the Teaching for Social Justice Curriculum Fair this year! We're kicking off the planning for the 11th annual Teaching for Social Justice Curriculum Fair. This year, our theme is "Defend and Transform Public Education." One of the most crucial parts of the planning process is getting the word out and visually representing TSJ, the Curriculum Fair, and our theme (all in one poster!). Check out the poster from last year---This shows ALL the information that needs to be included. It should just say 11.19.11, and 11th anniversary instead. As the TSJ Curriculum Fair is a completely grassroots, volunteer run event, all labor (a lot of labor!) is donated. We hope that artists will step up to contribute an idea for the poster design because they believe in contributing to this movement (we really, really wish we could pay everyone for their time, talent and labor). If you're interested, please submit a poster design idea to Sarah Atlas, seatlas@gmail.com, by September 16. Designs should be a good draft, but doesn't have to be finished. Once we pick a design for the fair, we hope the artist can complete their design by September 24.